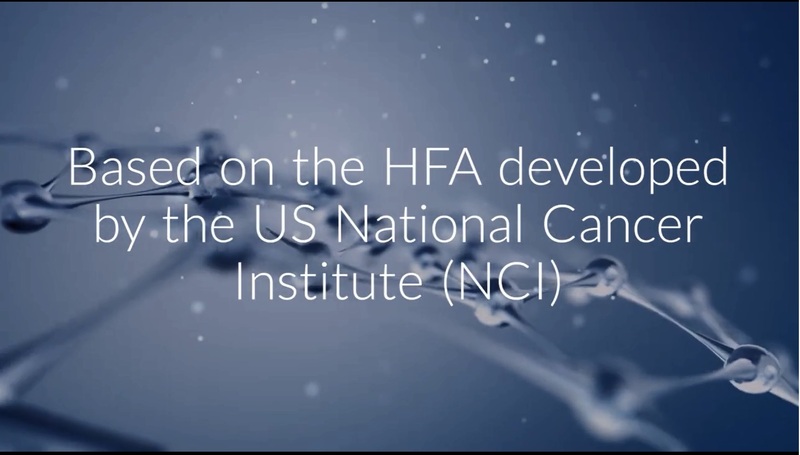 The MTAM-HFA is based on the US National Cancer Institute (NCI) developed technique known as the Hollow Fiber Assay (HFA). 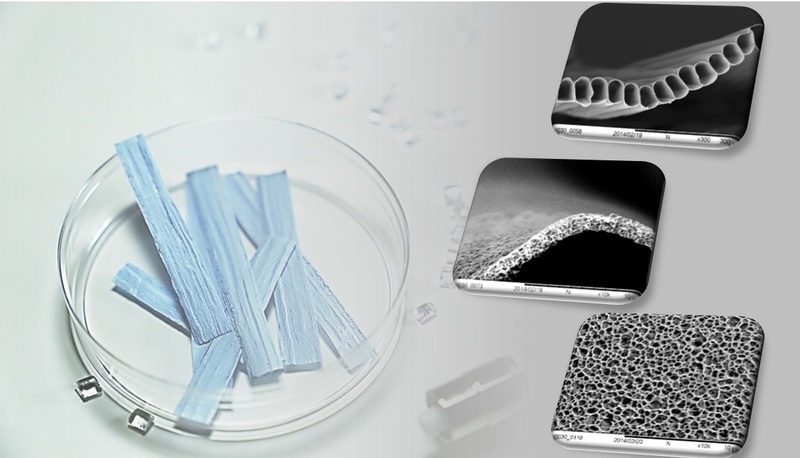 We introduce a new component known as the Microtube Array Membrane (MTAM) which consists of a whole host of beneficial microstructures which are patented. 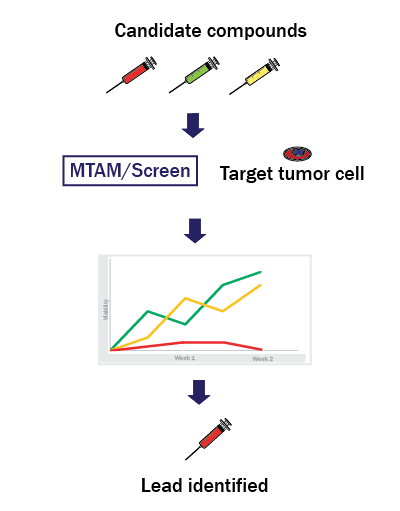 The combination of tumor cells (primary/cell line) which can be solid or non-solid, which are then siphoned into the lumens of the MTAMs; fused and subcutaneously implanted into the backs of Balb/C mice. 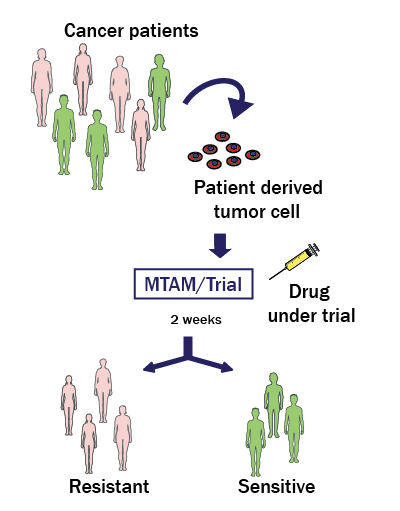 Anti-cancer drugs (small molecule, protein, immunotherapy, cell therapy*) are administered accordingly and the entire test can be completed within 14 days. 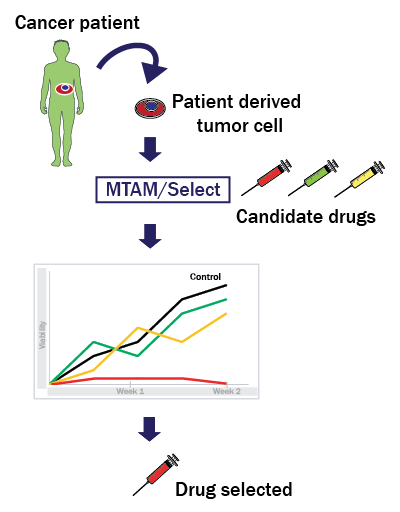 With MTAM/Select, oncologist/patients can choose to test their tumor samples against several probable anti-cancer drugs. 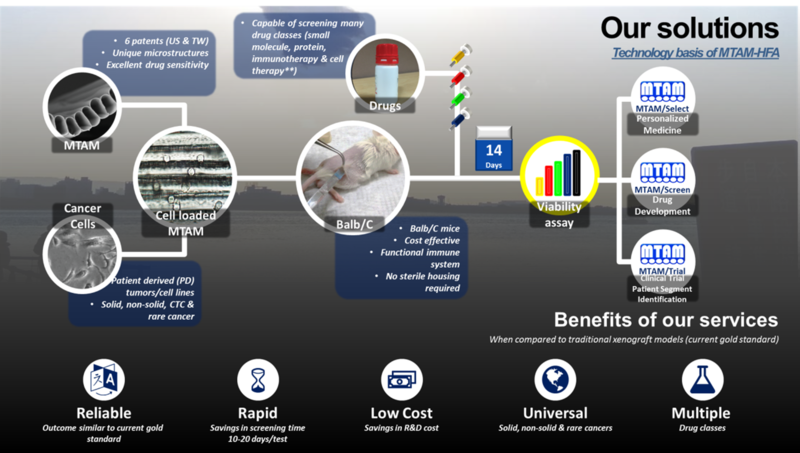 Tumor samples would be encapsulated within our MTAM and subcutaneously implanted into Balb/c mice and anti-cancer drugs would be administered. 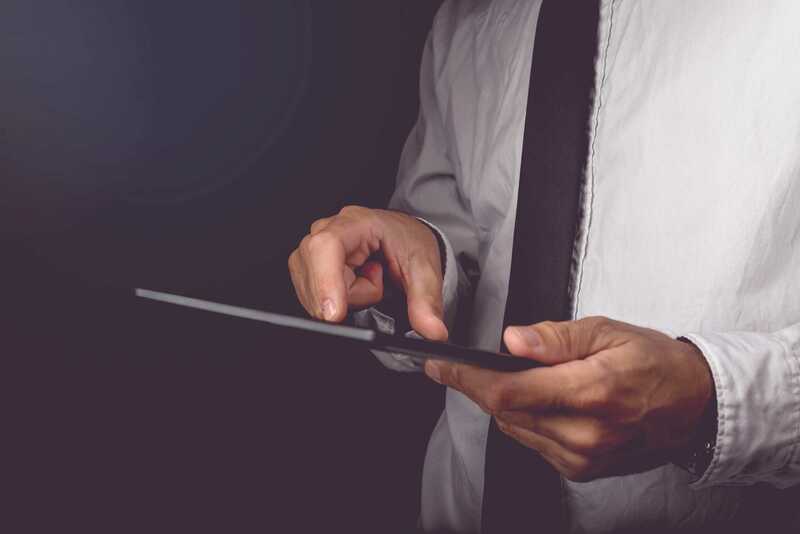 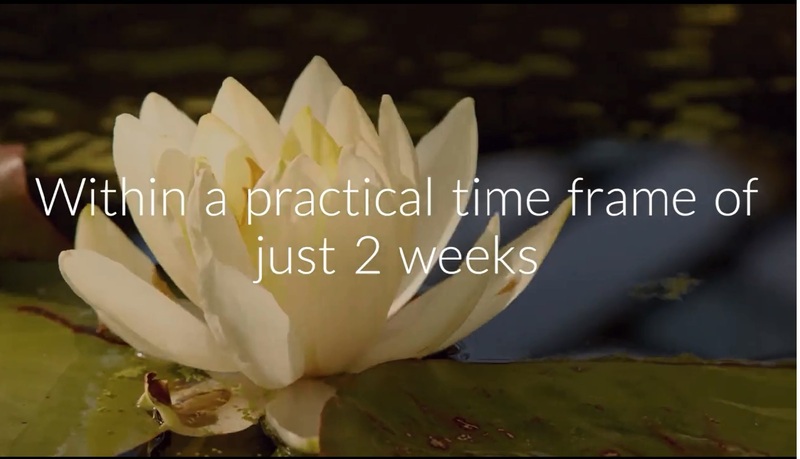 Results are based on the well established MTT assay and made available within a practical time frame of 10-20 days; enabling oncologist to administer the correct treatment on the very first time. 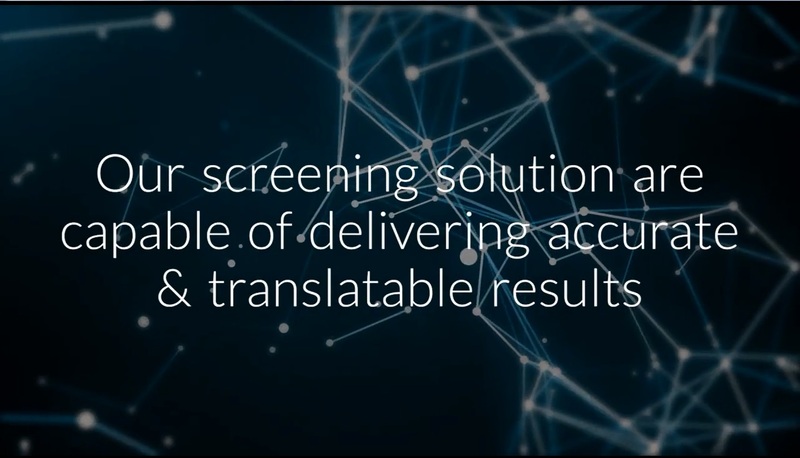 Our unique MTAM-HFA technique is capable of delivering unprecedented short test cycle of 10-20 days; primarily due to the elimination of the need to pre-establish a 1 cm tumor before any tests.